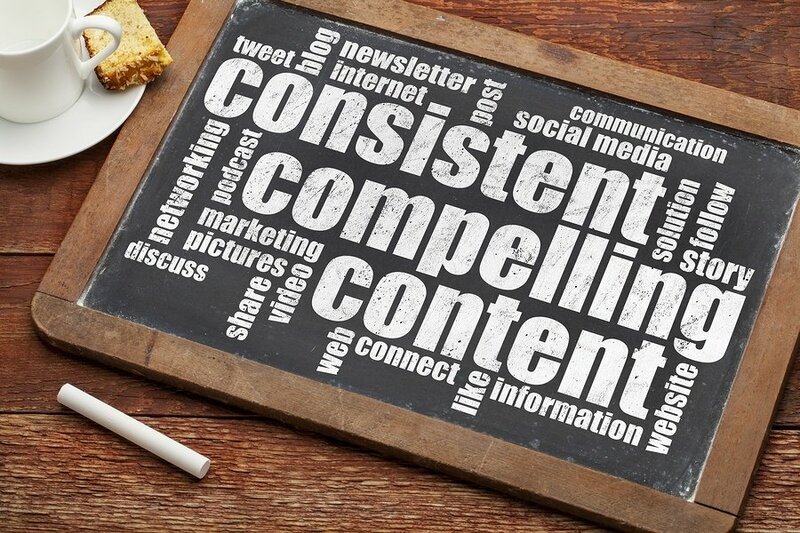 Wouldn’t it be nice if content marketing were as simple as just creating stellar content? Sure, you can say that crafting the most compelling content possible is your number one priority. (After all, it should be.) But no matter how good you are, or how much time you spend writing and perfecting your work, the problems you run into are the same ones that affect literally everyone else. Part of it is a matter of numbers, because effective marketing isn’t just about quality content – it’s about algorithms. The other part is a matter of whether you allow your content to expire and go to waste, which is all too easy to do. Fortunately, there’s a single solution that addresses both of those problems – but first, it’s important to understand just why these issues affect your business (and every business) as much as they do. Problem One: You need to post more updates on social media. Social media visibility just isn’t what it used to be. For one thing, the algorithms that dictate who sees what on social networks are always changing. Particularly over the past year, Facebook has implemented big changes that have decimated organic reach for brands, as well as smaller changes that affect what types of content get the most advantageous placement in your followers’ newsfeeds. Long story short? Every update you post is seen by only a fraction of your audience – a fraction that seems to get smaller and smaller over time. Twitter is scarcely any different. Though the network doesn’t pick and choose which of your updates show up in a follower’s timeline, its continually booming growth and the fast pace at which updates are posted mean anything you tweet has a relatively short shelf life – it might be buried in a matter of minutes. None of this is to say that social is no longer valuable, though – in fact, quite the opposite may be true. Recent analysis shows that while Facebook’s organic reach is still declining, for example, engagement rates are actually up – while each update is seen by fewer people, those people are engaging more. The bottom line, then, is that you need to post more updates. Because each one is seen by a small section of your audience, updating more frequently allows you to continue to reach more (and different) followers. Take Time Magazine, for example. Time’s Facebook and Twitter accounts each post dozens of updates per day, but the average follower is likely to see only a few of them at the most. Of course, Time is also one of the most prominent news publications on the planet, and generates enough new content on a regular basis to create the fodder for dozens of new updates every 24 hours. Even an above-average business doesn’t have those kinds of resources – after all, you can only post so many blogs in a day! The conundrum, then, is that you need to post more updates, but you don’t necessarily generate the volume of new material that you need to share only your latest and greatest. Problem Two: Your old content is going to waste. The old content on your website gets buried under the new. In some cases, that isn’t a problem – old content may be dated, irrelevant, and replaceable. Other times, though, that content is evergreen, and burying it means allowing it to go to waste. Just look at the blog here at Convince & Convert, for example. Over the years, this blog has built up well over 100 pages of posts. Even the most interested visitor isn’t likely to sift through that entire back catalogue in search of reading material, especially when they don’t know in advance whether a particular post is still relevant. If you post social updates linking to those posts, you’re creating a shortcut that directs fans and followers straight to older, evergreen content, but writing and posting those updates takes time – and the more evergreen content you have, the more time you theoretically have to regularly dedicate to promoting them on social. Every piece of evergreen content represents time you spent on your business – time you allow to go to waste when you allow that content to remain buried. Directing social traffic to that evergreen content is a potential means to an end, because it allows you to post more frequent updates while also preventing older work from going to waste, but the time it takes to continually write and post those updates represents an exponentially bigger time investment. Fortunately, there’s a way around it. The Solution: Repurpose and repost. Posting social status updates that link to your evergreen content kills two birds with one stone, but you need the proper strategy to keep the process from becoming prohibitively time-consuming. The solution? Create evergreen social updates for your evergreen content – updates that you can use over and over again. Repeating the updates that promote your evergreen content is a natural solution to diminished reach on social networks. Because every update you share is seen by only a small part of your audience, when you repeat an update in the future, it’s likely to be seen by different people – a new slice of the pie every time you post. Sort through your existing catalogue of evergreen content, and for every blog post or article, write one or two social media updates. When you’re finished, disperse those into your existing schedule of posts. Essentially, you’re using evergreen content to fill in the gaps between links to new content, and the other updates you share on a regular basis. This is where planning ahead with a schedule comes in particularly handy. For example, you may save all of your evergreen social updates externally in a spreadsheet, so that you can copy/paste them into your social media. There are easier solutions, though. This is actually why earlier this year, I launched Edgar, my first social media marketing app. Edgar saves every update you post in an online library, and pulls updates from that library according to a schedule you create, so that your evergreen updates are automatically filtered into your queue. This ensures that you’re always meeting your goals for posting frequency and preventing your content from going to waste, all without creating additional work. Whatever approach you take, the important thing is that you stop thinking of the work you create as one-time-use-only. Whether it’s the blog posts you write for your website or the updates you share on social, the life of your content can be as long as you make it – and the longer you make that content work for you, the better off you’ll be.